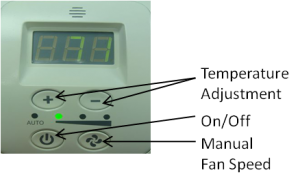 Set your desired minimum room temperature. The fan automatically turns on opening the louvers when the outside air is cooler (and less humid) than the room air and the room. temperature rises above the minimum temperature set point. When the room cools to the minimum set point the fan will automatically stop and the louvers will close, sealing out the warm outside air. 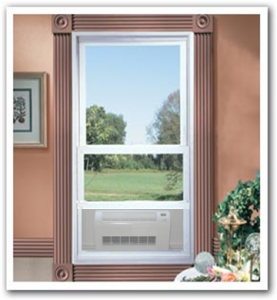 When the temperature rises above the air conditioner set point the home air conditioning unit will provide cooling. This will continue until the outdoor temperature drops below the room temperature and Eco Breeze will provide fresh air cooling.